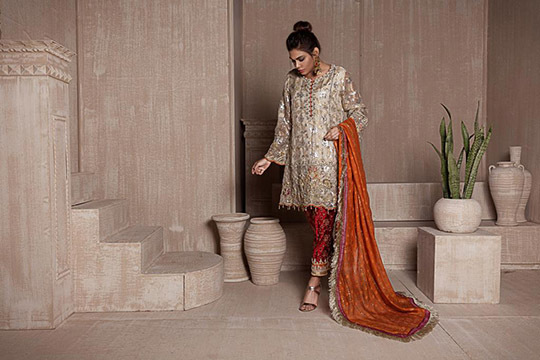 Sana Abbas’s brand philosophy has always been to create elegant and timeless couture pieces that remain everlasting in the years to come. Their formals have faithfully oozed elegance and glamor, so it’s no surprise that their new range of formals are glitzy and regal! A wide array of pastels along with sophisticated embroidery is a winner for any girl out there! The color palette is decorous and holds a pleasant aesthetic. From soft mint to rich gold, each one is complete with immaculate detailing that will definitely capture your heart! What stole our attention are the statement dupatta’s with heavy kamdaani work that further accentuate the glamour of the overall outfit. 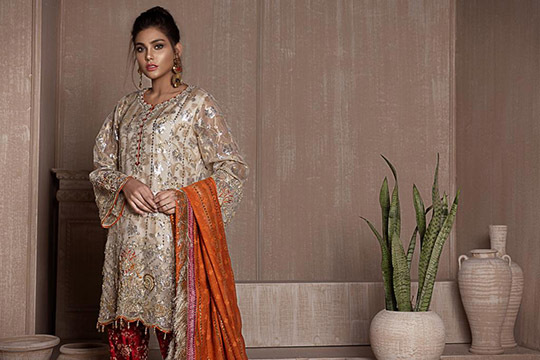 So if you’ve got a spring wedding and you need the perfect outfit, head on over to Sana Abbas’s studio because these pieces are waiting for you! Scroll down to check out more! What's in Store! : Image RTW Spring Collection Will Have You Looking Breezy & Fresh!